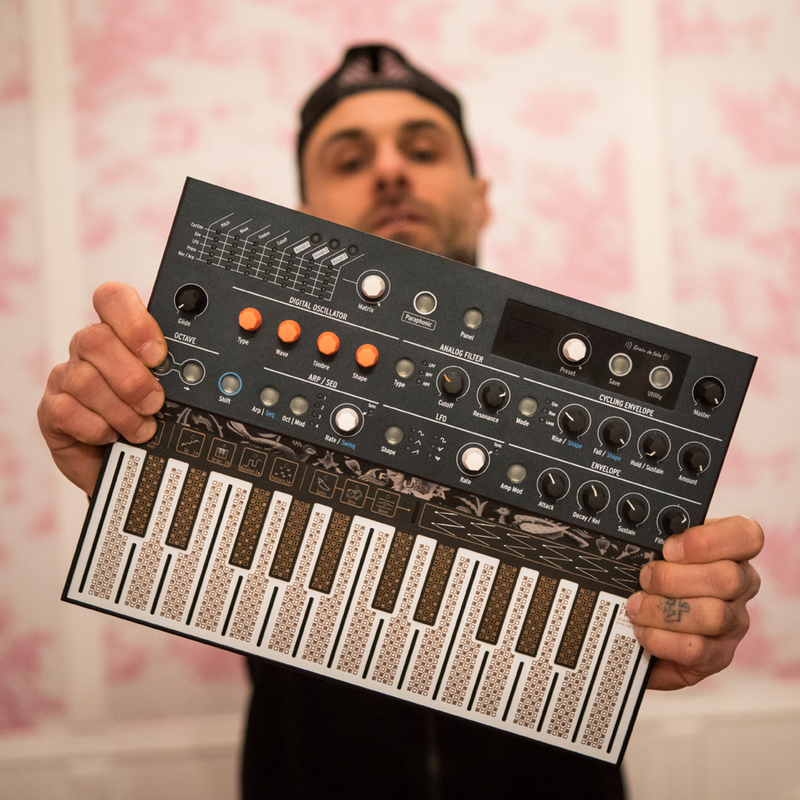 A digital synth like no other, MicroFreak is a peculiar, exceptional instrument that rewards the curious musician. 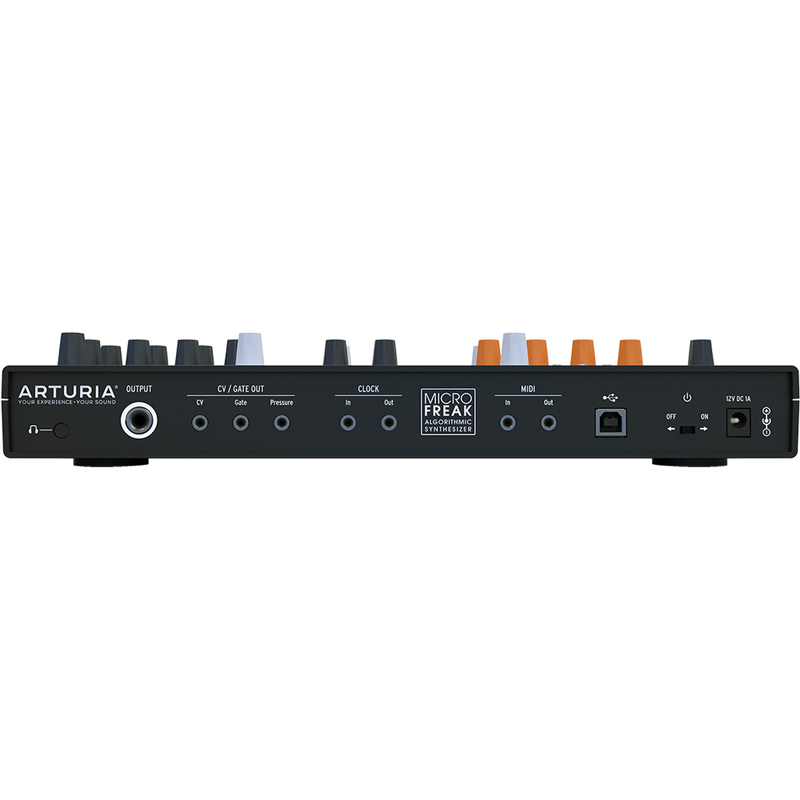 It blends wavetable and digital oscillators with analog filters. It features a unique poly-aftertouch flat keyboard. It adds controlled randomness to sequences. This isn’t a revolution, it’s a mutiny. This out-there little music machine features a versatile digital oscillator so you can create rare and interesting sounds with ease. Modes like Texturer, KarplusStrong, Harmonic OSC, and Superwave give adventurous musicians the chance to explore totally new, unheard pos-sibilities. 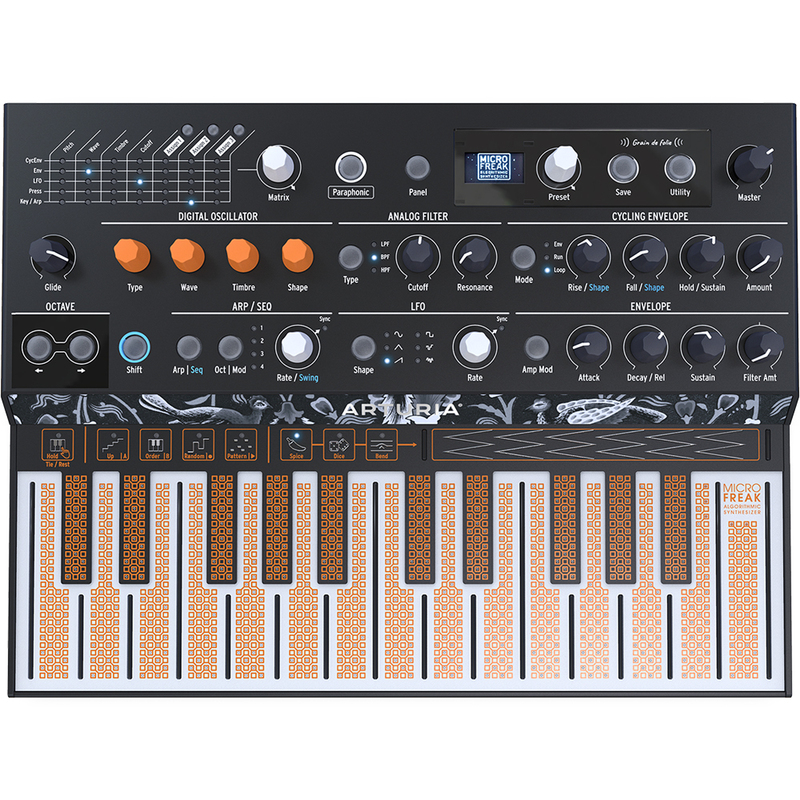 Like having dozens of synths in just one instrument, both wild-eyed newcomers and seasoned profession-als will fall in love with MicroFreak’s flexible, powerful synth engine. While it can be fun to play with yourself, things can get more exciting when there’s two. 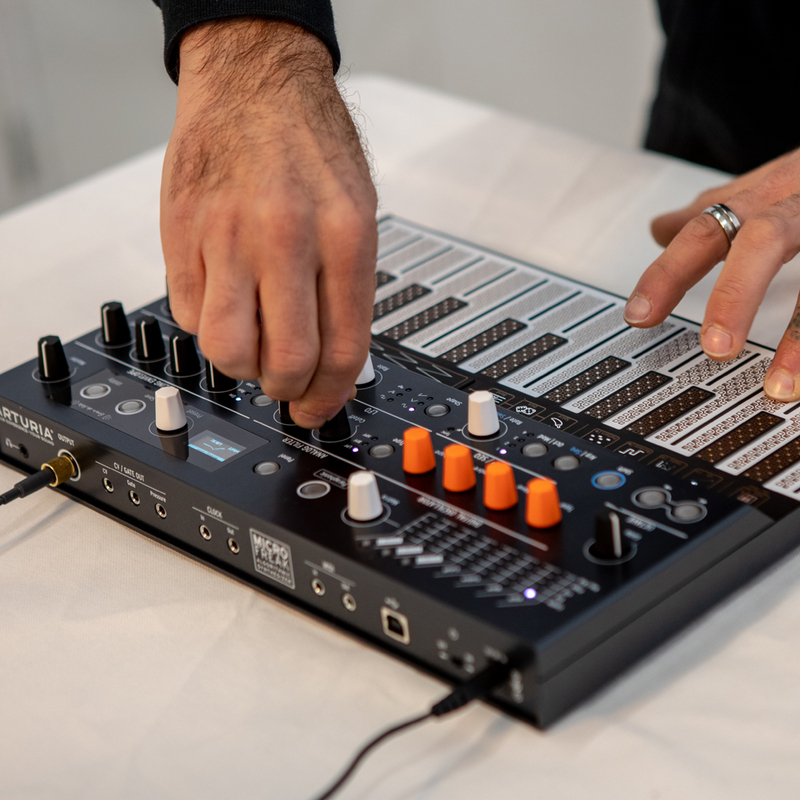 We love to collaborate, so we’re exciting to bring you the first collaboration between Arturia and acclaimed modular synth pioneers Mutable Instruments. Among the multiple modes of MicroFreak’s synth engine, you’ll be able to select the much-loved Plaits oscillator and with added paraphony. 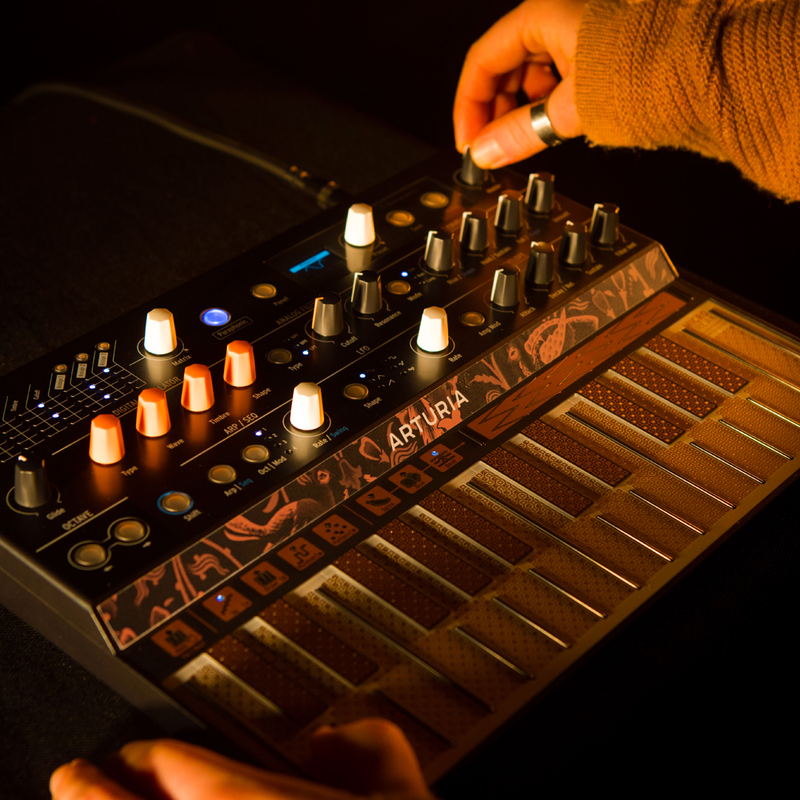 Now you can enjoy the same otherworldly sounds, the same modes, and with the same pa-rameter controls as the iconic Eurorack module, but from a self-contained, performable hardware synth. Inspired by the trailblazing 12-dB Oberheim SEM filter, you can make MicroFreak’s filter scream or whisper to taste. The filter is state-variable, and can even auto-oscillate! 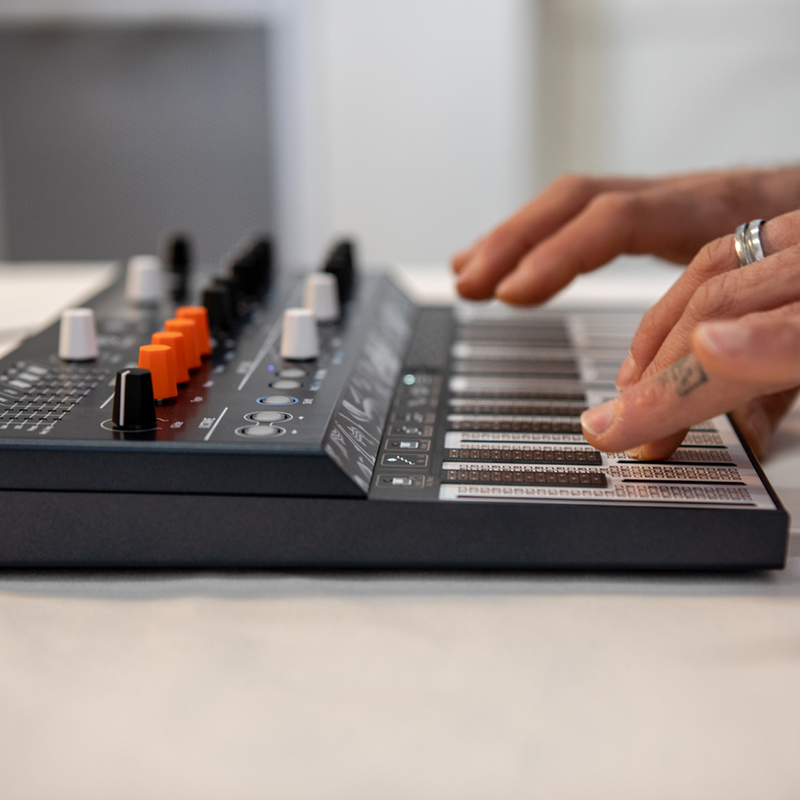 You can use this is any way you like, from taking the edge of the razor-sharp wavetable sounds, or au-tomating the cutoff by modulating it with keyboard pressure or the in-built sequencer. Record up to four automations, edit notes per step or use the innovative Spice and Dice se-quencer functions to find happy accidents. Add randomization to create evolving, original patterns, and virtually rewire and reconfigure its signal chain and controls with the 5x7 mod-ulation matrix. That’s right, it is. It isn’t really even a keyboard. It’s a PCB. Super-flat, with no moving parts. You can also use its USB, MIDI, and CV outputs to control instruments in your DAW and modu-lar synths. This also means that you can also use MicroFreak as a controller to experience polyphonic aftertouch with cutting edge software instruments.